BREAKING NEWS: Just received a phone update from our CSC. The Construction Certificate has now been issued and the Design team are finalising the construction drawings as we speak. We should have them by the end of the week to review and sign-off. Woohoo! Happy Monday!!! With vacant land in established suburbs at an all-time low, there’s a growing trend in KDR aka knockdown-rebuilds as home owners choose to stay put and forego costly renovations in favour of starting from scratch and building the dream home. 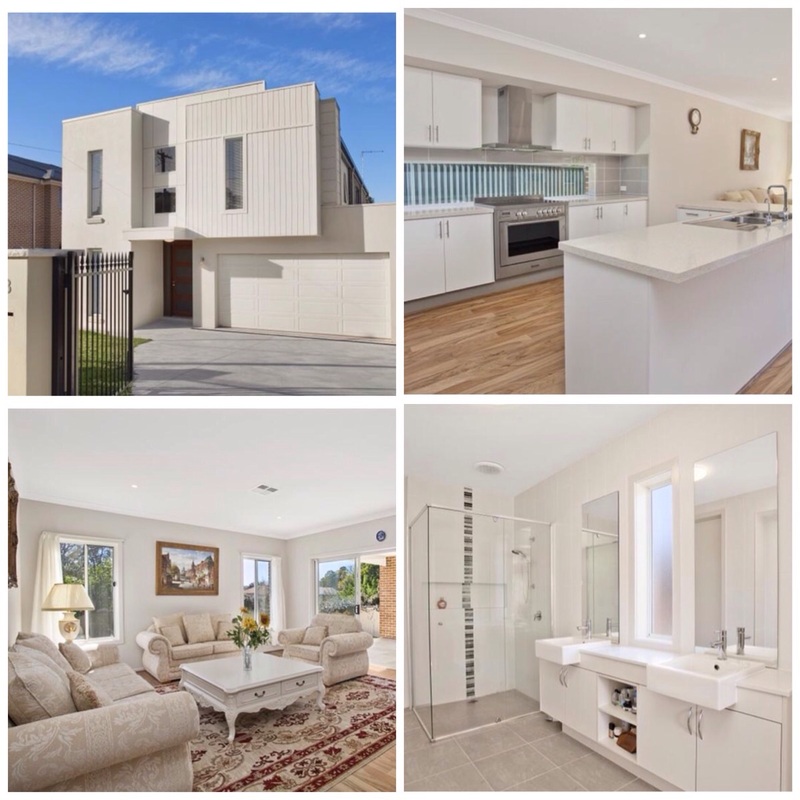 I came across a couple of Metricon-built homes sold as new 3-4 minutes drive from our block. It’s so interesting to see a finished build not decked out in the super expensive bells and whistles of a display house. The facade is a dead giveaway for the Urban Laguna and the interiors showcase the contemporary floor plan typical of a Metricon design. Even without all the fancy upgrades, it was listed on Domain as being sold at auction for a cool $2.110m. 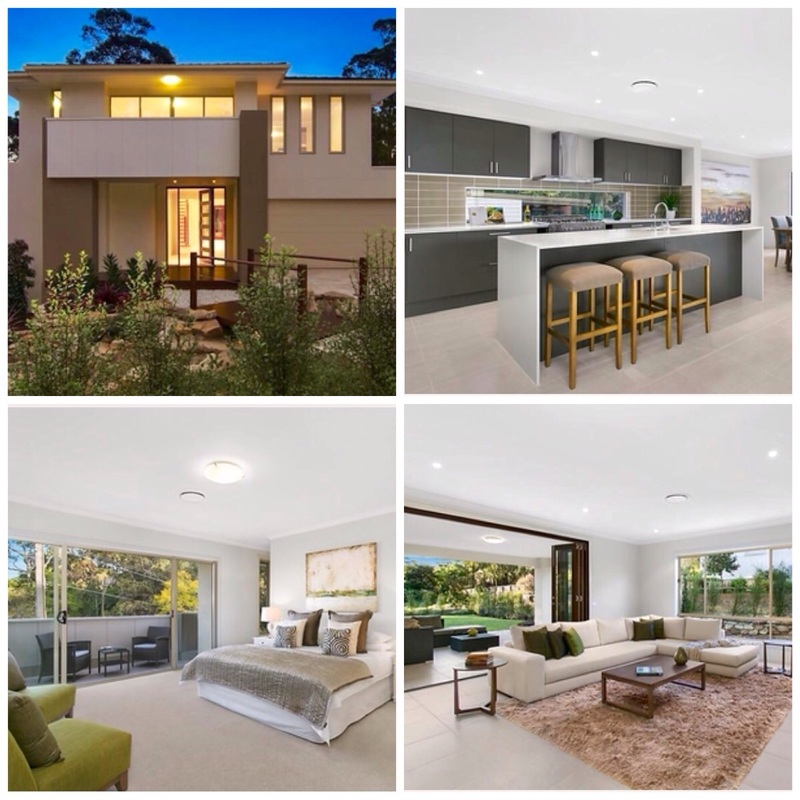 This KDR was beautifully presented like a display home . I remember walking through at the open inspection back in Oct-13 being super impressed by the high quality finishes and daydreaming about our very own Metricon home. I believe it sold upwards of $1.5m before the Sydney property market really took off. I reckon if the new owners wanted to cash in now, they could achieve a sale price of $2m+. Not a bad profit in only 12 months! With all the months of planning, designing and waiting, it’s easy to feel disheartened by the long road to building the dream. But seeing examples of stunning results like these KDRs reinforce in our minds that we’ve made the right decision. We have itchy feet and counting the days until we get handed over to construction. Being soooooo close, it’s hard to keep the impatience under control. C’mon Metricon, let’s get this show on the road! It’s exciting to see these builds go up, that sale price must be very encouraging! Sydney house prices are showing no signs of slowing down! The first house in the photo sold last Sat whilst the 2nd house sold in Oct13. The difference in sale prices between the two is a staggering 600k+ in just 12 months. The finishes in the 2nd house seem to be a higher standard also so if the owners held off and sold now, I hate to think what price they could have achieved. Bet the new owners are counting their lucky stars! I am amazed at the skyrocketing Sydney market….if you own land KDR is definitely the way to go…. You gave me a shock with your first picture. For a moment, I thought I’d missed something and that was your frame! My standard way of dealing with the wait is to blog and shop – though my current location has slowed my shopping down. Alas, it would take me a day to get to NYC. It is just as easy as getting from Sydney to NYC as it is from my city in Brazil. Trust me, I’ve checked!